Who says you need a full kitchen to prepare delicious healthy meals? 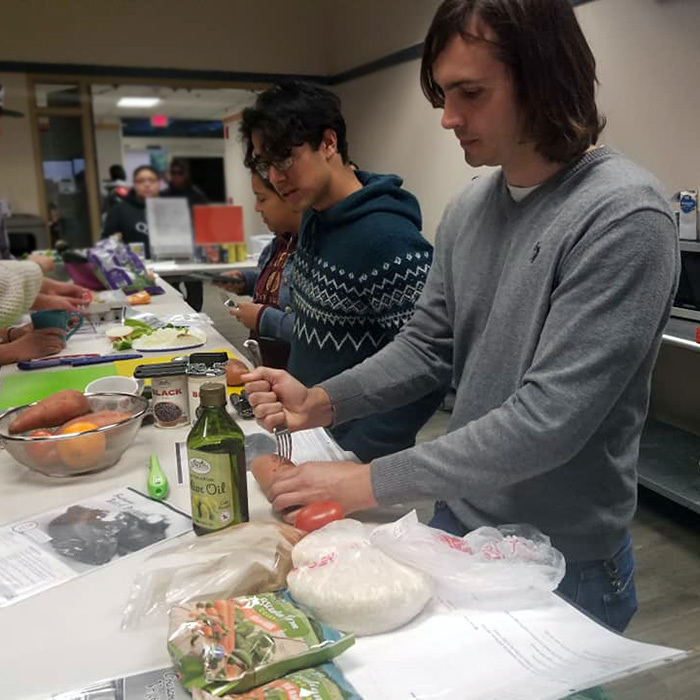 Things get creative in this interactive workshop designed for people with limited kitchens and cold storage space, think college students and residents of Single Room Occupancy (SRO) hotels. Participants leave this workshop with new skills and increased confidence to prepare healthy meals with limited space, time, and budget. How to prepare healthy meals using a few simple ingredients and a microwave – no stovetop needed! 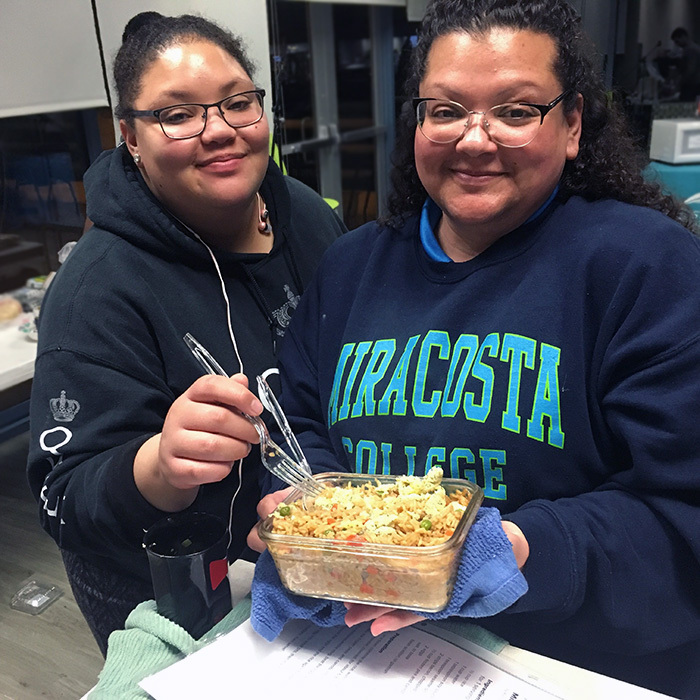 Participants will learn how a microwave can be used for more than just reheating leftovers and making oatmeal; they will learn to cook eggs, “fried” rice, chicken teriyaki, and even blueberry muffins in a microwave. How to chop up veggies and measure out ingredients with confidence. Additionally, we will discuss how to shop on a budget, store food with limited space, and make the most out of the ingredients that you have. No prior cooking experience is needed.